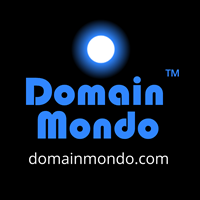 Domain Mondo | domainmondo.com: Tech Review: 1) Why Apple Is Losing In India, 2) Amazon $AMZN Alarm? Tech Review: 1) Why Apple Is Losing In India, 2) Amazon $AMZN Alarm? Tech Review (TR 2019-02-09)--Domain Mondo's weekly review of tech investing news: Features • 1) Why Apple $AAPL Is Losing In India, 2) Amazon $AMZN Analysts Alarmed? 3) Investing: The Week & Notes: EU, Eurozone, France, Italy, US, China, 4) ICYMI Tech News: Boeing, Microsoft, Go-Jek, Foxconn & Amazon HQ2, Zucked (Facebook), Quantum Fiber, Amazon, Google, Visma. Why is Apple $AAPL struggling to reach one of the fastest growing smartphone markets in the world? In the fourth quarter of 2018, Apple reported selling about 47 million iPhones worldwide. But Apple is still struggling to make a dent in India, where high import duties and price-sensitive consumers have resulted in weak sales. Apple began selling iPhones in India more than ten years ago but is still struggling in the world's second-largest smartphone market. According to research firm Counterpoint (counterpointresearch.com) data, Samsung and Xiaomi led in smartphone sales in India in the third quarter of 2018, with 22 percent and 27 percent of the smartphone market, respectively. In the same period, Apple made up only about one percent of India's smartphone market share, behind Chinese phone makers Vivo and Oppo. CNBC.com video above published Jan 29, 2019. Global Smartphone Market Declines for The First Time in CY 2018--Q4 2018 Smartphone Shipments Decline 7%; Fifth Consecutive Quarter of Smartphone Decline--Chinese Players HOVX (Huawei, OPPO, vivo, Xiaomi) Continue to Defy Market Decline Ending the Year with Positive Growth--counterpointresearch.com Feb 1, 2019. 5 Takeaways from Apple’s Q4 2018 Earnings Call--counterpointresearch.com Jan 30, 2019: "... Lastly, we might see a strong push from Apple into the health and wellness space in the future ..."
Is Apple The Next Nokia?--seekingalpha.com. 2) Amazon $AMZN Analysts Alarmed? Amazon $AMZN delivered its third consecutive record quarterly profit in the fourth quarter of 2018 but raised alarm among some analysts with a cautious first-quarter sales forecast. Financial Times (ft.com) video above published Feb 1, 2019. Amazon revenue growth shows strength across the business, analyst says--Christopher Rossbach, chief investment officer at J. Stern & Co, discusses Amazon's latest quarterly earnings report.--CNBC International TV video published Feb 1, 2019. France’s 'Gilets Jaunes' or ‘Yellow Vest’ movement originally formed over planned fuel tax rises in November 2018. French President Emmanuel Macron has scrapped the tax hike, but demonstrations have continued and even spread to other countries. CNBC International video above published Jan 31, 2019. Big cash holdings in Europe signal unease over stock market outlook--euronews.com. The Eurozone is at risk of renewed crisis in 2019, and this time it’s all about Italy--cityam.com: "French and German banks have massive exposure to Italian sovereign debt ... Italy already accounts for a quarter of all Eurozone bad debt." Italy in recession amid sluggish eurozone--bbc.com. Eurozone Growth Slows Sharply to 1.8% in 2018--novinite.com. US jobs growth surges but more disappointing data for Eurozone--independent.ie. China "experiencing probable economic stagnation and internal decay"--theatlantic.com. Boeing goes bionic to roll out more Dreamliners--reuters.com: "Melding humans with robots." How do you turn around the culture of a 130,000-person company? Ask Microsoft CEO Satya Nadella--qz.com. Go-Jek raises $1 billion in round led by Google, Tencent, JD.com--reuters.com. The Foxconn & Amazon HQ2 sagas: bidding wars to attract private employers create a dilemma for politicians, often promoted without any real cost-benefit analysis. Interstate competition in tax giveaways "is not an overall winner for taxpayers"--dashofinsight.com. Zucked, "a book by early Facebook investor Roger McNamee, details Facebook's damage to society, the dystopia it created, and advocates breaking up its monopoly"--NYTimes.com. A fiber-optic cable that harnesses the power of quantum mechanics to protect critical banking data from potential spies--bloombergquint.com and quantumxc.com. Amazon spent $1.65B on acquisitions in 2018, including Ring and PillPack--geekwire.com. Google announces Live Transcribe, a near-real time transcriber, and Sound Amplifier--theverge.com. China hacked Norway's Visma to steal client secrets--reuters.com.